Nate has made a new friend at school, and I’m so happy I could burst. 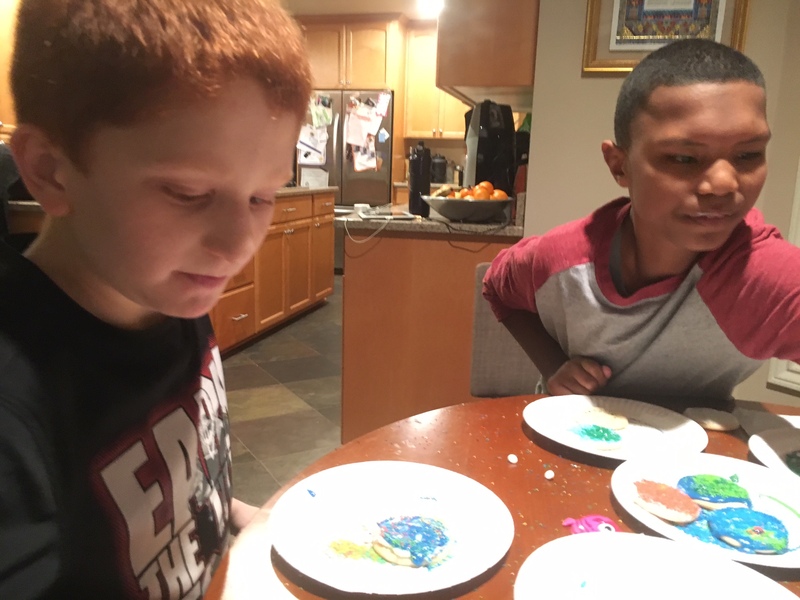 My redheaded mischief-maker is almost thirteen years old, adolescence is knocking on our door, and (for the first time in a long time) Nate has made an honest to goodness, real-life friend—a young man around the same age who appears to enjoy Nate’s company as much as Nate enjoys his. Someone to hang out with. We have waited a long time for this. Don’t get me wrong. Nate has had friends before, and they are treasured—neighborhood kids who spent hours of their childhoods playing with him in sandboxes and on swing sets, or watching Dora the Explorer. They are children he’s grown up around and who accepted his differences in the glorious, judgment-free way that young kids do. Real, legitimate friendships that meant so much but then faded naturally, leaving Nate spending more time alone as he got older. It’s hard to know how Nate feels about these changes, but I can say for sure that life gets lonelier when the birthday party invitations stop coming. I have never been confident that I understand what friendship means to Nate. To me, it’s always meant fun, support, inclusion and love; but Nate has limited verbal skills and an even more limited interest in compromise, so connecting with children his age is hard. He isn’t able to engage in long conversations about shared interests. And playing games he didn’t choose himself just isn’t his thing. He’s inflexible and stubborn, he avoids groups of kids, and he doesn’t always respond when a classmate says hello. From the outside looking in, you might assume he’s just not that interested in making friends at all. I’m his mom though, and I’m pretty sure there’s more to the story. 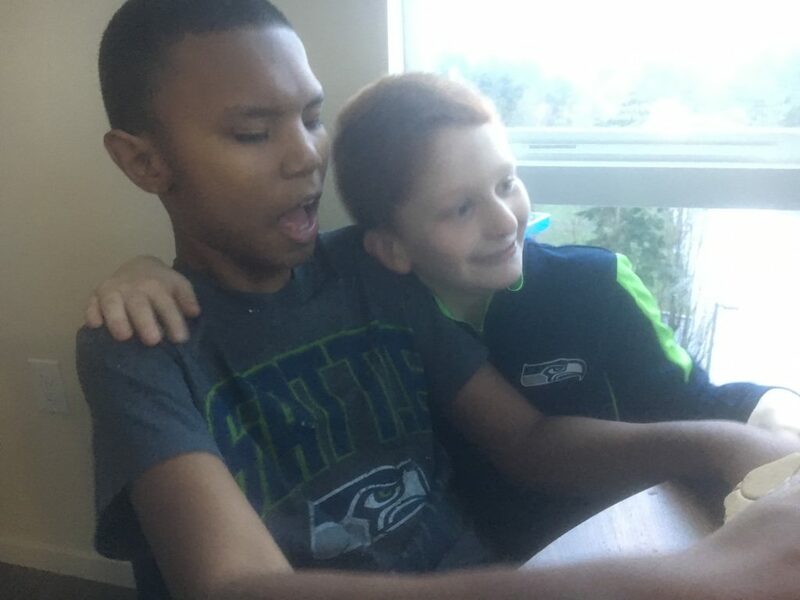 I see how he watches the other kids across the room; how he laughs privately at their silliness and discretely admires (and later emulates) their teenage coolness; and how he’s unwilling to ask them to check out the new app on his iPad, but is secretly happy when they watch him play over his shoulder. I see how he notices his brother’s busy social life and the absence of his own. I see his empathy and curiosity towards other kids, and I see the imaginary friends he creates, complete with elaborate backstories and a platonic love so real you can taste it. This is a kid who is desperate for friendship but doesn’t have a lot of tools to do something about it. Wayland just turned fourteen and, like Nate, has a developmental disability that impacts him significantly. I could have predicted that they’d become friends because Wayland and Nate have a lot in common. They’re both slim, handsome kids who love to observe the people around them. Each boy has passionate interests they’re desperate to tell you about but language so limited they struggle to be understood. If you spend more than five minutes with either one of them, it’s obvious there’s a tremendous amount going on inside their heads that they’re unable to share. They’re both energetic and excitable and eager to explore, but often show their enthusiasm is ways more typical of a much younger child. And they both live with passionate Seahawks fans, but really don’t care much about football. Friendships have been built on much less, right? In some ways, Nate and Wayland’s time together is completely ordinary. Since becoming friends last fall, they’ve decorated gingerbread houses, watched movies, gone bowling, and even attended a few YMCA pool parties. You know, middle-school stuff. In other ways, their friendship looks different than other kids their age. 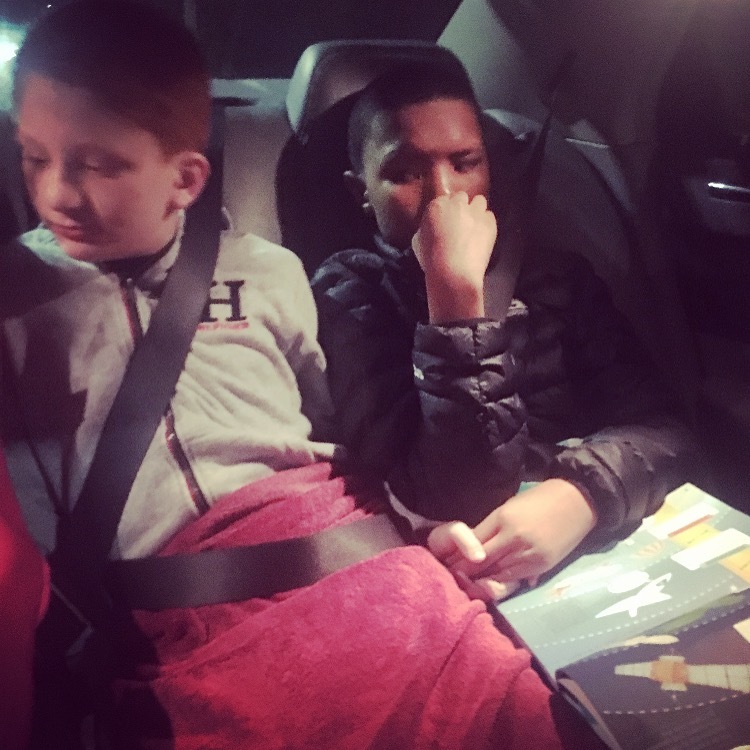 Unlike their peers, they’re not gossiping about their classmates, talking about how their parents drive them crazy, or even grumbling over their frustrations associated with their shared disabilities. When Nate and Wayland are hanging out, it’s loud and chaotic. They require supervision the entire time. And while both boys are over-the-moon ecstatic to be together, they show their excitement in different ways. Nate, who loves touch, attempts to hug and kiss Wayland whenever he can. Wayland, who prefers a little space, patiently pushes him away. Nate casually accepts the rejection and then tries again a few minutes later. It’s their friendship, it’s completely authentic, and I love it. Nate’s weekends have been a little busier lately, and I can tell he takes pride in that. He puffs his chest and stands a little taller when he overhears me reporting “Nate has a playdate with his friend Wayland tomorrow.” He looks forward to their time together, and gets pleasure from recounting their meetups once they’re over. He’s building memories and having shared experiences. He’s having fun, he feels included, and he feels loved. Maybe friendship means the same to him as it does to me. Maybe he’ll define friendship in his own way, creating something as unique and beautiful as he is. All I know is that my heart is full. Wayland’s mom is a little braver than me and has started talking about hosting a sleepover for the boys at her place soon. It’s hard to imagine those two kids ever being able to fall asleep next to each other, but if Nate’s game then I’m willing to give it a shot. I’m fully ready to follow his lead and excited for the chance to learn more about what friendship means to him. There is such a beautiful heart in him, and watching him share it with a friend is something I can’t imagine I’ll ever grow tired of.